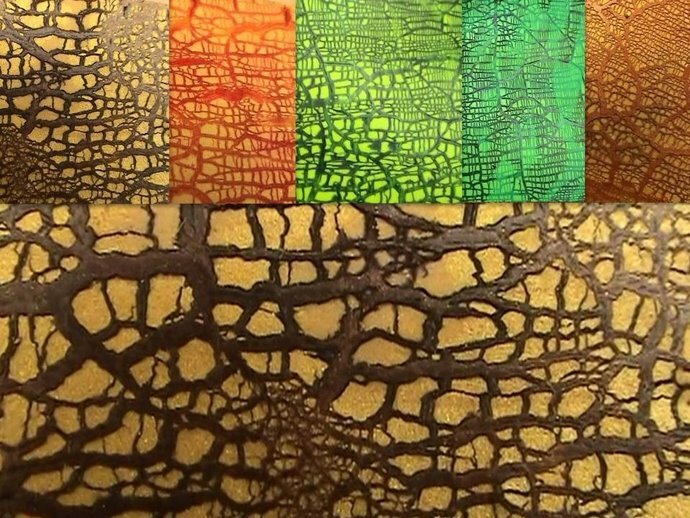 I hope to peak your curiosity because this crackle really is DIFFERENT! You'll be left with clay that can be manipulated into 3d shapes and applied to rounded objects with no bits falling off. 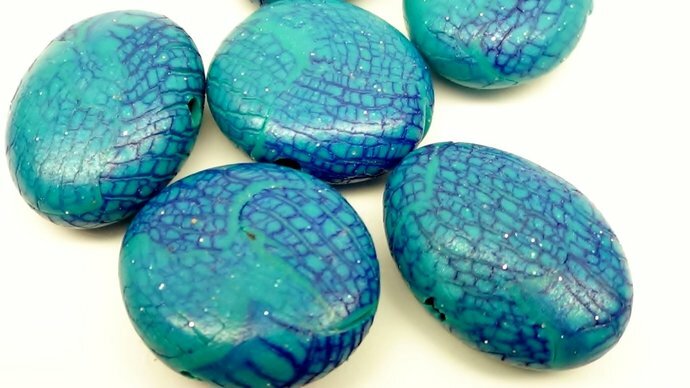 No odor, no partial curing of clay to cause cracks, no crackle paint, no 2 part compound, as those are all things that coat your polymer clay like resin would. This process here I discovered it in 2011, and wrote this tutorial in 2012. I've included a few variations with surprisingly easy to access materials. 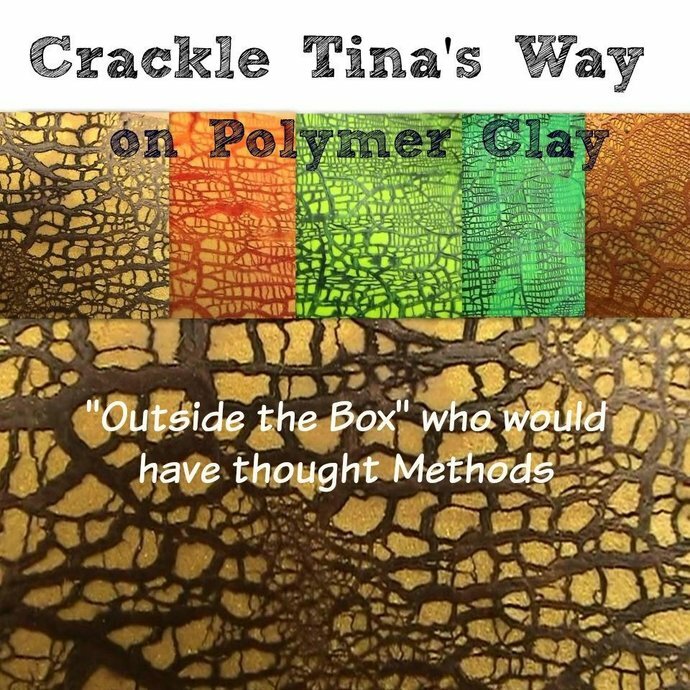 This technique will leave your clay subtle and is usable for round, tubular, and shaped objects. I'm working on an extension for this tutorial. 24 photos and 8 pages. or the Ammolite Tutorial that combines one of these along with some other techniques and is a variation with a project. If you use this technique in work that you sell, please spread the word by giving me credit or referring people to this tutorial. Please do not teach this technique as I'm highly dependent on earning income on my intellectual ideas. Thanks for understanding. 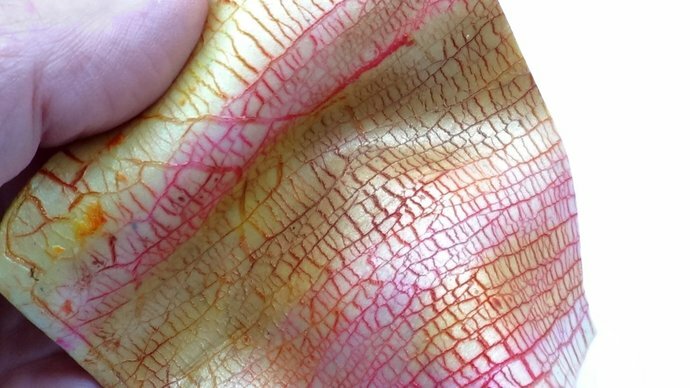 I have a couple of other crackle techniques in my shop as well if you are into various types of crackles. File will be ready for DOWNLOAD once payment has been confirmed. You'll be sent an email letting you know that your file/s are ready to download. (This email is in addition to the purchase confirmation email). You should then also see a "Ready to download" button on your Purchases or Receipt page (You need to be logged into Etsy to access your Purchases or Receipts page.) If you have any questions, don't hesitate to convo me.